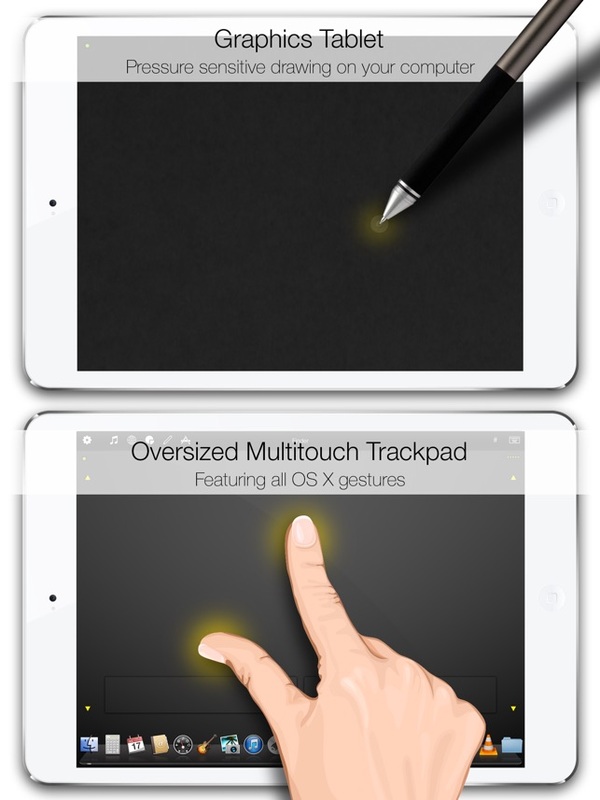 Mobile Mouse instantly transforms your iPad into a wireless remote and trackpad for your computer! Sit back and use this remote to surf the web, browse your photo library or control your music player from the comfort of your couch. Mobile Mouse is an essential part of any home theater computer. 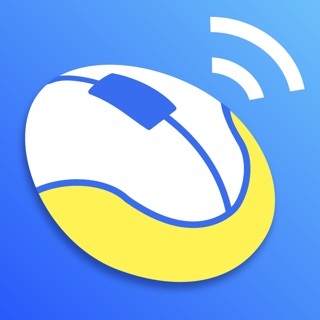 Mobile Mouse uses an innovative application notification system to let the iPhone know what program you are running at any time and show the appropriate keys for that program. This allows Mobile Mouse to provide a single screen remote for controlling ALL your media and web applications. Mobile Mouse features a full-fledged dock, just like you'd find on your Mac! 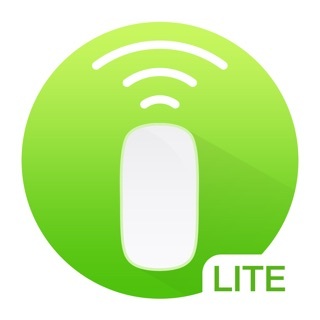 Mobile Mouse supports all the most popular web and media programs for the Mac and PC. View our demo video and website to see all that Mobile Air Mouse can do for you. ** IMPORTANT ** IF YOU HAVE ANY PROBLEMS CONNECTING PLEASE CHECK THE TROUBLESHOOTING SECTION ON OUR SITE, THEN USE THE CONTACT FORM ON OUR SITE IF YOU ARE STILL HAVING PROBLEMS. 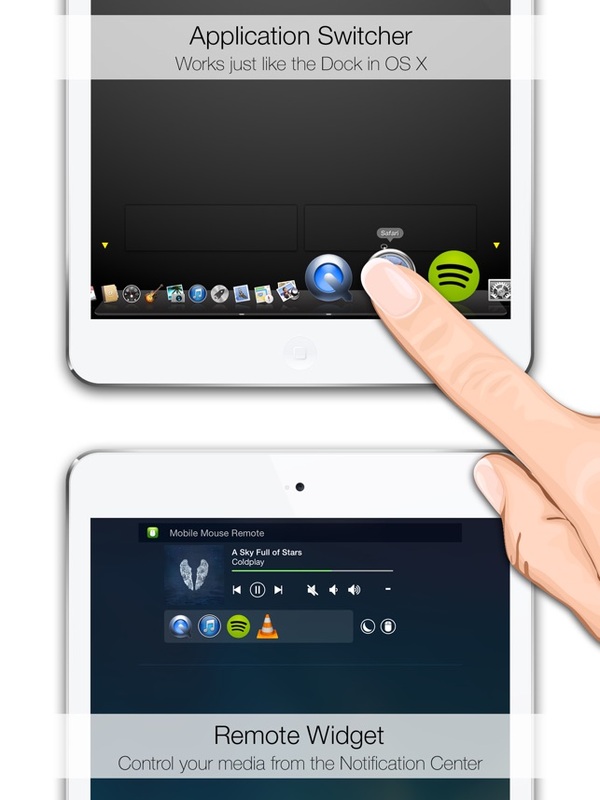 Provides remote control capabilities for programs like iTunes, VLC, Front Row, Windows Media Center, WinAmp, Firefox, Safari, boxee, and much more! 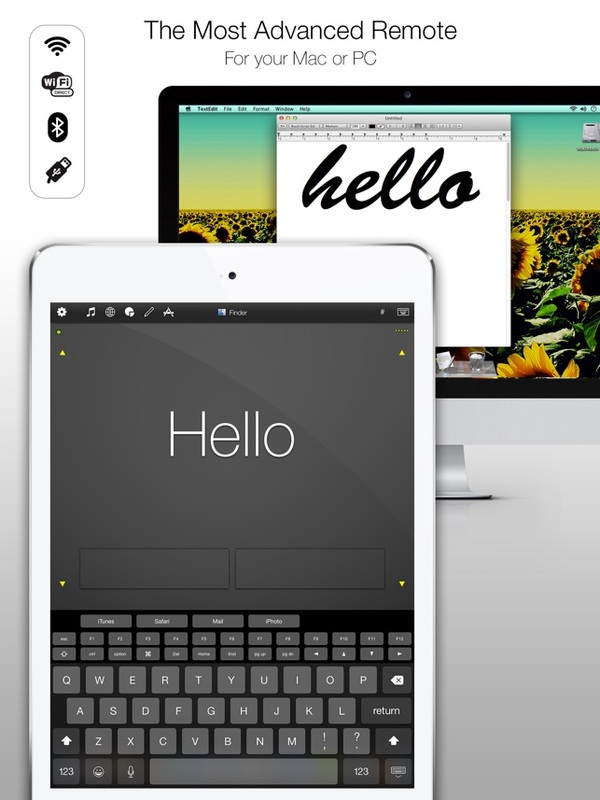 - Added support for the Apple Pencil in Tablet mode. Super smooth drawing performance, and the ability to activate hotkeys and change brushes by double tapping the pencil. Great app. 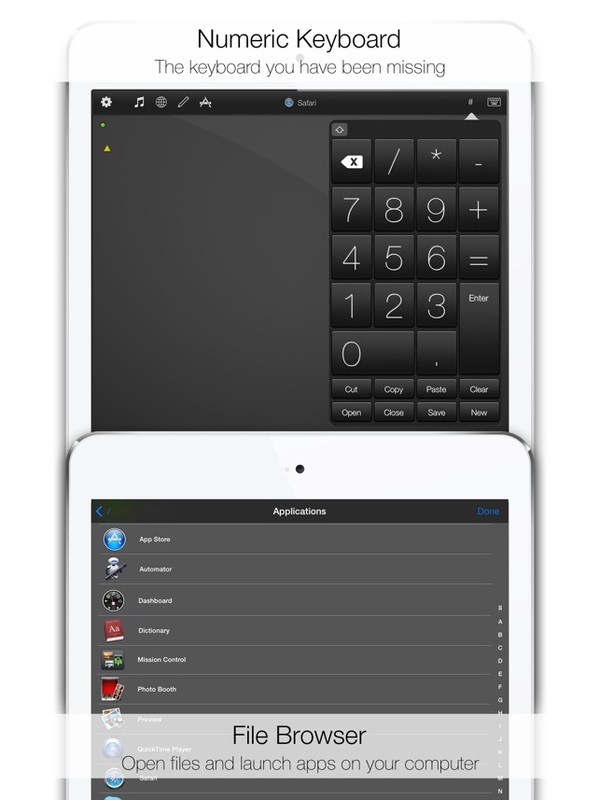 Would like to add a feature request to allow the number pad to be movable. Right handed users would have easier input if the number pad could move to the bottom left of the display. Either that or allow the pad to render at full screen. I crunch a lot of numbers for inventory and if this feature was added, I’d bump up the rating to 5 stars. 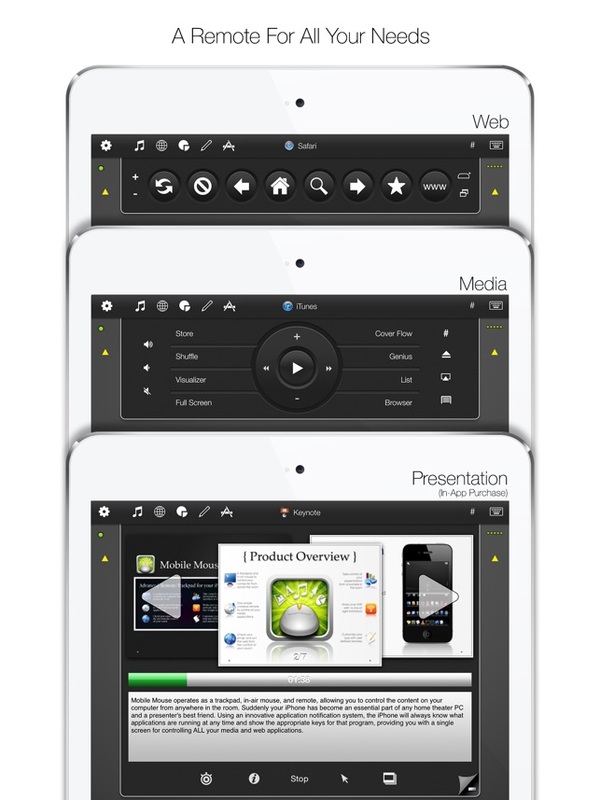 I purchased this app specifically for the presenter pro features. Every time I try to access the pro features the app crashes. This works great on iPhone but this app needs an update. Please fix or refund! Update: the bug that prevented the pro option has been fixed. Add split screen support will be 5 stars. I use this app frequently! Thanks. Split screen support would make this a 5star app. As well as locking the number keys to the side so it doesn’t disappear when you you use the mouse.